A couple of weeks ago, we released our 3D Printing Market Watch report, in which we break down (almost) all existing 3D scanners models by categories. One very interesting and promising category is the portable 3D scanners, also called handheld 3D scanners or portative 3D scanners. It’s pretty straightforward what a portable 3D scanner is: these 3D scanners are designed to be carried around by hand. The operator usually circulates around the object to capture it from all sides, simply by pointing the scanner towards the object. Such handheld 3D scanners offer several advantages vs “static” or desktop 3D scanners (eg. 3D scanners requiring a tripod and scanning from a fixed position), among which their ease of use and ability to scan objects of various sizes. So, what are the different portable 3D scanners models available? How much does a handheld 3D scanner cost? We’ve made this recap of all the handheld 3D scanners that we know of (please contact [email protected]a.com if you see something’s missing). As usual in our lists, this is NOT a ranking by performance or ratings! As you will see in the list below, these portative 3D scanners have very different price points and address the needs of very different types of users, from hobbyists to professionals. We have simply listed these portable 3D scanners by price, from the cheapest to the most expensive. – Most of these 3D scanners, although portable, are NOT wireless! 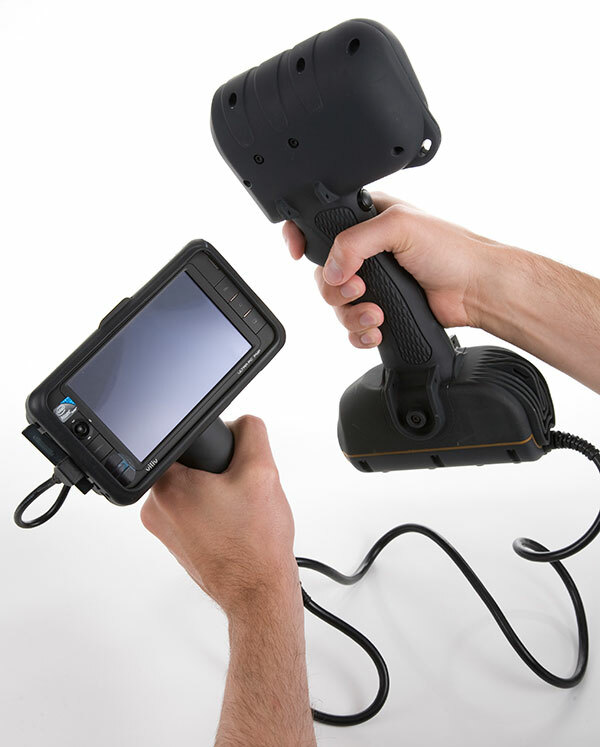 People often think handheld 3D scanners are standalone cord-free devices but unfortunately, in most cases they must be connected to a power source and/or computer. We’ve specified when the 3D scanner is actually wireless. – We have not included all the intra-oral 3D scanner for Dental applications, even if lots of these are technically handheld 3D scanners. We think that the use case is so specific that they do not belong in the list below, but you can still find them in our 3D scanners comparison engine. 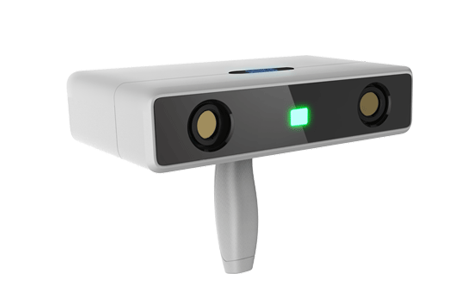 – We have chosen not to include the Kinect and RealSense 3D sensors in this list. Both are really interesting options for 3D scanning but they’re a bit different from the classic 3D scanners listed below. We’ll explore the 3D sensors alternatives in a separate post. XYZprinting 3D scanner: the first 3D scanner released by XYZPrinting, a Taiwanese manufacturer well-known for its Da Vinci 3D printers. This 3D scanners was launched in late 2015 and we have so far no users feedback but the price point is very agressive – as always with XYZPrinting – and it’ll be interesting to see if there’s a market for entry-level portable 3D scanners. 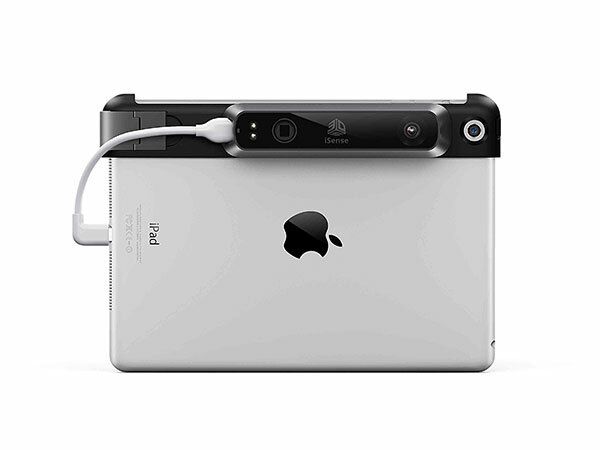 Structure Sensor by Occipital (Wireless): this 3D sensor, made by San Francisco-based company Occipital, easily plugs into an iPad to transform it in a fully portable 3D scanner. Great for room mapping or gaming applications, this 3D scanning device is compatible with several 3D scanning apps from the iTunes Store. 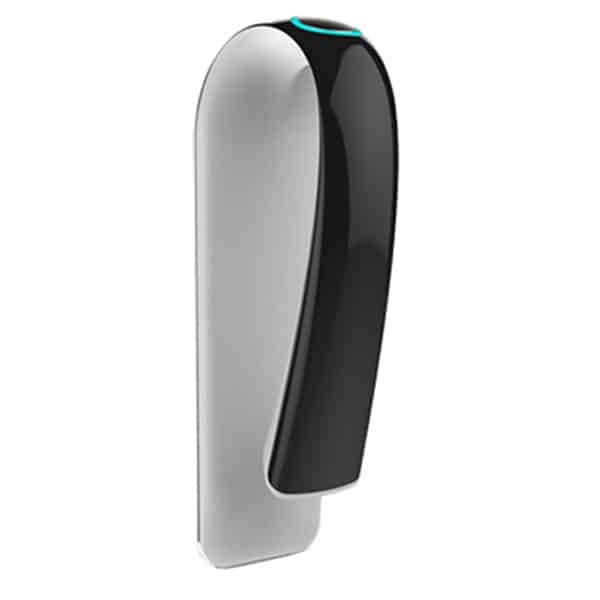 Sense 3D Scanner by Cubify: one of the first affordable handheld 3D scanners released on the market by 3D Systems, the US 3D printing giant (now in quite a bad shape). The Sense targets entry-level users for casual applications but the performance isn’t great overall, even at this price tag. 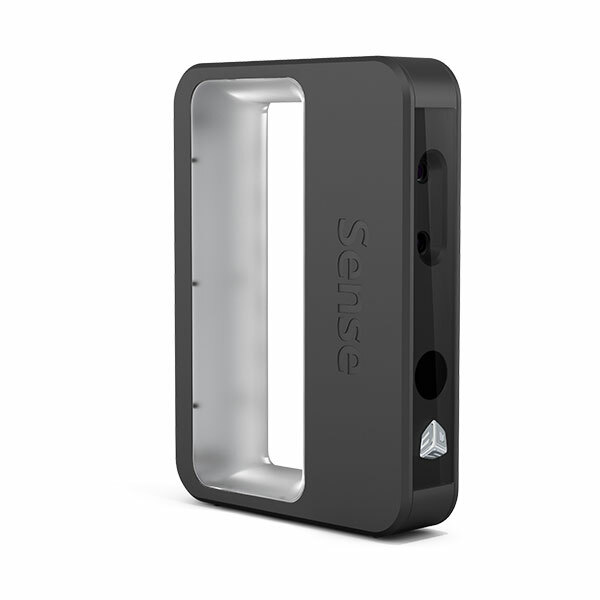 iSense by Cubify (Wireless): the Cubify iSense is a sensor which converts an iPad or iPhone into a 3D scanner, thanks to the Structure Sensor technology. A structured light is projected on the surface to 3D scan. The Cubify iSense can be a good option for 3D scanning to 3D printing processes initiations or quick demonstrations. However, this 3D scanner is not capable of miracles given its low price and producing accurate 3D scans is not an option. 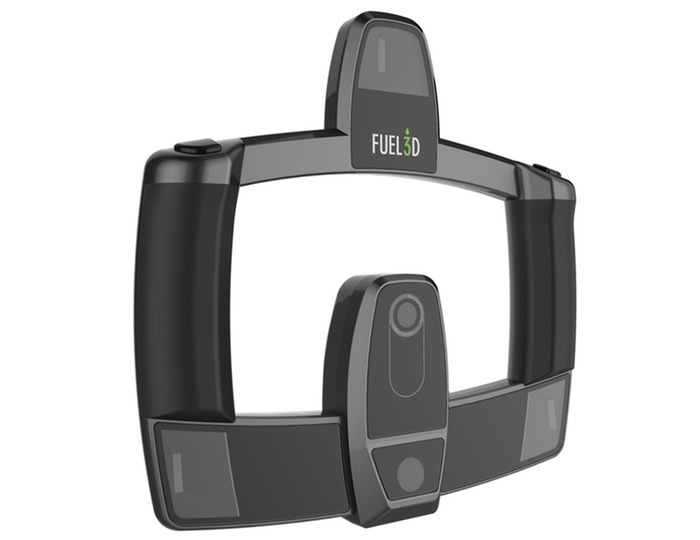 Fuel3D Scanify: after a successful crowdfunding campaign, UK manufacturer Fuel3D launched the Scanify in 2013 and this portable 3D scanner quickly became a reference for 3D scanners under $2,000. Easy-to-use, capable of capturing textures and colors, and suitable for a variety of applications, the Scanify is a pretty awesome portable 3D scanner offering a solid price-to-performance ratio. Update: Fuel3D just released a Mobile Package allowing a wireless use if connected to a tablet. DotProduct DPI-8 (Wireless): the DPI-8 is made by DotProduct, a US manufacturer of 3D scanners. This handheld 3D scanner boasts a large tablet screen and operates wirelessly, making it a perfect fit for worksite inspection. An interesting feature is the “Append Data” option, which allows the user to move between scans of a same area/object, and the systems automatically reconstructs the final 3D model. There is second version, the DotProduct DPI-8SR (also Wireless), with a smaller working range of 0.3 x 2 m (vs 0.6 x 4 m for the DPI-8). 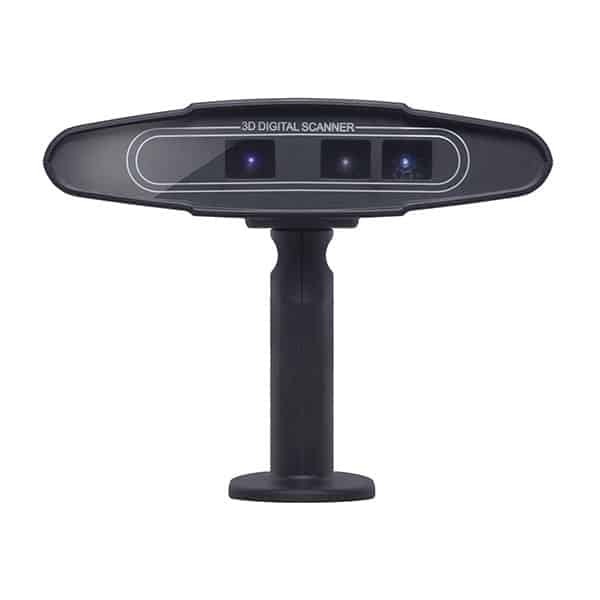 Einscan 3D scanner: this model is described by Chinese manufacturer Shining 3D as the world’s first dual-use 3D scanner, allowing for both desktop and portable scanning modes. We don’t have actual user feedback about the Einscan so we cannot really vouch for the performance but it seems interesting, although maybe a bit pricey. FlashForge Observer: another portable 3D scanner from China, the Observer offers color 3D scanning at high speed, making it a good fit for body scanning applications. 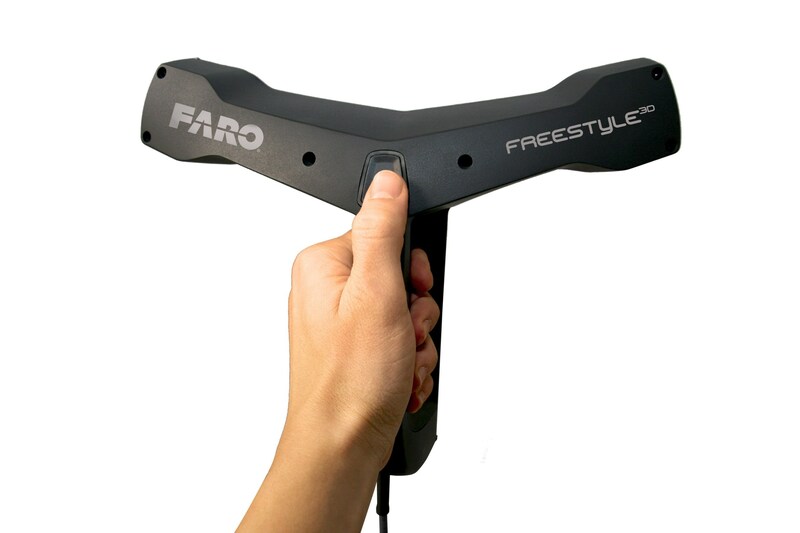 FARO Freestyle3D (Wireless): with its two infrared cameras, this carbon-fiber portable 3D sensor by US manufacturer FARO is a solid product. It’s designed to complement a tripod 3D scanner, as the portable device can be used to capture areas not accessible with a bulkier 3D scanner. The Freestyle is intended for indoor use, for rooms and furniture capture, as well as forensics. Canadian manufacturer Creaform is a huge player in the portable 3D scanner market segment. 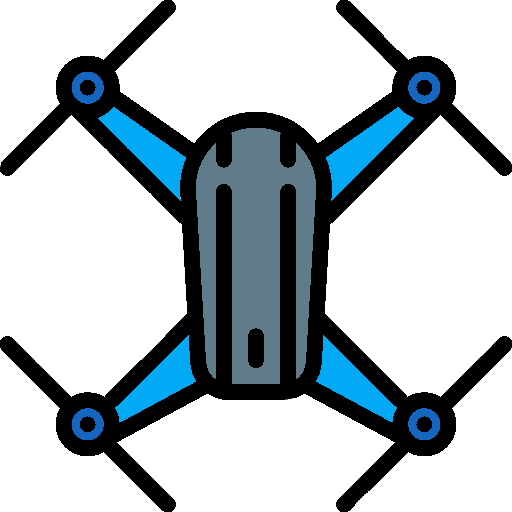 Their product lines cover a variety of professional and industrial use cases, with applications in product design, inspection and quality control, metrology… They basically have a scanner for each type of objects, from large shapes to small parts with intricate details. The Go!SCAN is more accessible and offer versatile and machines while the HandySCAN line is dedicated to high-end metrology scanners for highly accurate measurements. MV4D is the new name of Mantis Vision, a portable 3D scanner manufacturer from Israël. Their F5 model is a rugged, high-performance handheld 3D scanner, designed to be used outdoor in the field (the scanners are wireless). This military-grade 3D scanner can capture a scene with an accuracy of 0.5mm at 1 meter distance and can be operated even in the sunlight. The F5-SR (Short Range) provides an even better accuracy of 0.05 mm, to capture fine details. This scanner does not capture colors but it is often used in crime scene investigations for example. 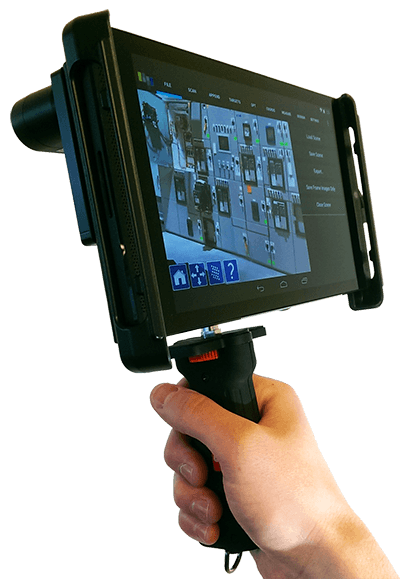 The rebranding from Mantis Vision to MV4D seems to mark the will of the manufacturer to foray into consumer-grade 3D scanners, through a mobile-based technology currently in development. Thor3D by Thor (Wireless): a newcomer to compete with Artec and Creaform, this handheld 3D scanner from Russia is fully wireless and offers a wide field of view for faster scans and according to the maker, it’s very easy to use. The color and texture capture seems also great… No feedback from users so far but it definitely looks promising! Matter and Form Bevel: the company which brought one of the cheapest desktop 3D scanner on the market is now planning to release a 3D sensor for smartphones to capture what they call “Genuine 3D Photographs”. The concept definitely sounds interesting and with a price tag at $99, it could help bring 3D scanning to the masses. Pre-order should start shipping early 2016… Stay tuned! That’s it, that’s all we have. 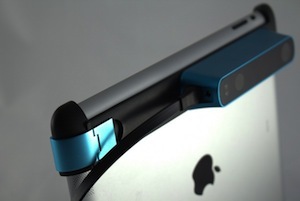 Did we forget to mention a portable 3D scanner or a brand? Did you experience first-hand some of these machines and have some feedback? Please send an email at [email protected], we’d love to improve this list and our site! During CES 2016 in Las Vegas, Shining 3D (China’s first OTC stock in 3D digitizing and 3D printing industry) has introduced the Einscan-Pro. 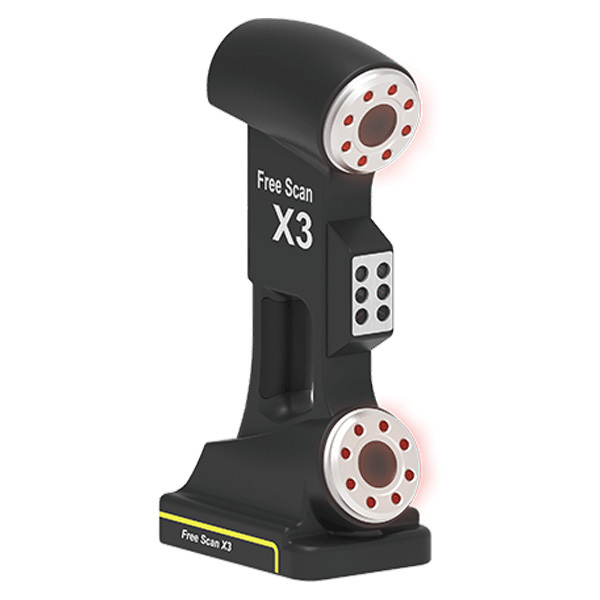 This 3D scanner is capable of operating with four different scan modes: handheld rapid scan, handheld HD scan, automatic scan and free scan. 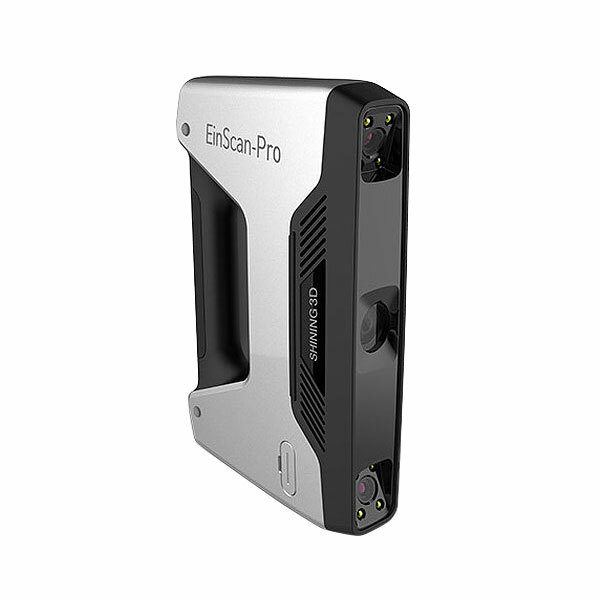 The Einscan-Pro handheld 3D scanner is versatile and affordable, with prices starting as $3,399 (without the color module).